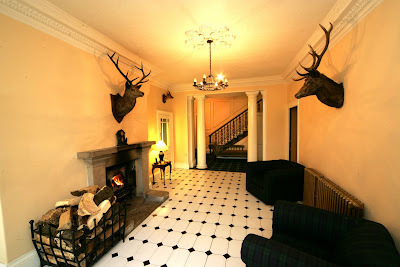 CKD Galbraith’s Ayr office is marketing a superb “A” listed historical mansion house, situated grandly within a 60 acre secluded wooded estate by Beith in North Ayrshire. Dating from 1551, when Hugh Ralstoun purchased the estate of Woodside of Turnerland, the castle was originally a square tower which still forms a portion of the present mansion. The castle stayed in the hands of the Ralstoun family until 1771, by which time it had been altered several times. Further additions and extensions were made in 1833, and the current façade was extensively remodelled in 1890. 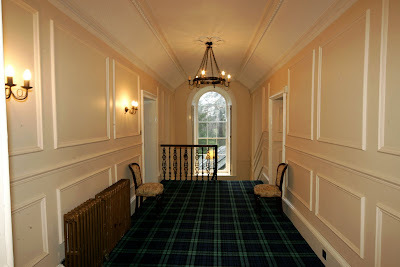 The current owners have carried out a major programme of refurbishment to put the house in a sound state of repair. 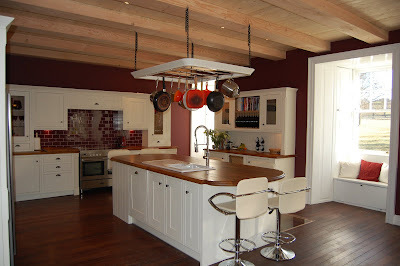 Internally the rooms are spacious and well proportioned. With the accommodation arranged over five floors, from the original arched vaulted dungeons to the tower bedrooms on the second and third floors, each part of the house reflects an evolution of the changes in architectural style over the years. 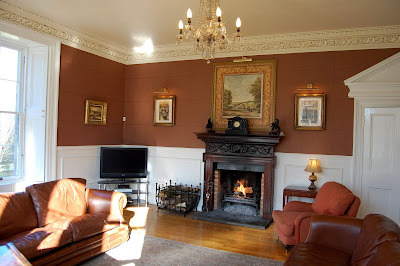 The principal rooms have considerable character, and incorporate many attractive period features including marble and stone fireplaces, ornate plasterwork and extensive wood panelling. There are five primary bedrooms as well as the five tower bedrooms, while a self-contained basement apartment has excellent letting potential. In 2009, the owners have further extended the Castle with an impressive conservatory affording wonderful views over the gardens and grounds, and have also created a superb new luxury modern kitchen suitable for formal entertaining. 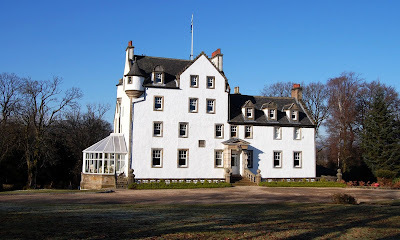 From the outside, the Castle has a wonderfully imposing presence, with a host of Scottish baronial flourishes including stepped gables, tall dormer windows and circular corner turrets with conical roofs. The wooded grounds provide considerable privacy, with paddocks and grazing land available for equestrian or other uses. There is also extensive garaging and outbuildings. Situated within easy driving distance of both Glasgow City Centre and two international airports, Woodside Castle presents a rare opportunity to purchase an outstanding, substantial country house of historical and architectural significance. There are currently 666 Ayrshire business stories permanently archived on this site. To locate those of most interest to you, please use the site search facility in the top left hand corner of this page. Type your search term in the white box, then click the magnifying glass symbol.